These Are The Best Vegan Restaurants In Hyderabad. Explored Them Yet? Are you a vegan? Or are you interested in trying out some vegan delicacies? Here is a list of the best vegan restaurants in Hyderabad. Why don't you go eat some? A part of a massive villa turned into a cafe, Smart Alec has the vibe of a vacation home with pets and open-air seating. Making ourselves at home in the cosy ambience, we decided to get Baked Jacket Potatoes stuffed with broccoli and cream cheese, and the Let's Mezze platter which comes with hummus, falafel, pickled veggies, and crispy lavash. The baked potatoes were soft with the ingredients complimenting perfectly well, and the platter was a fine assortment. We followed it up with their chocolate ice-cream (which has no cream, mind you) made from sweet potatoes and we're still gushing about how absolutely delicious it was. You have to taste it, but even then, you'd find it hard to believe that it has no sugar or cream. Terrasen Cafe is a sort of hidden gem and we fell in love with it ever since we visited it first. It's totally laidback, pet-friendly, and serve delicious dishes like Pumpkin Soup (comfort food at its best), Phoebe & Joey sandwich, Smoked Tofu Pizza (topped with generous amounts of cashew nut cheese). Take your pet and go here for an evening of delicious food and hang out with other pets maybe? Now Fab Cafe in Banjara Hills isn't exactly an out and out vegan cafe but they serve organic dishes with plenty of vegan options. Start your meal with Shakarkandi Chaat Salad (roasted sweet potatoes), Tofu in a Baked Rumali Tokri (tofu is topped on rumali roti in canapé style and served with tangy pudina chutney), Veggie Chips with Cashew Chips. Need more? Ask for the main course. 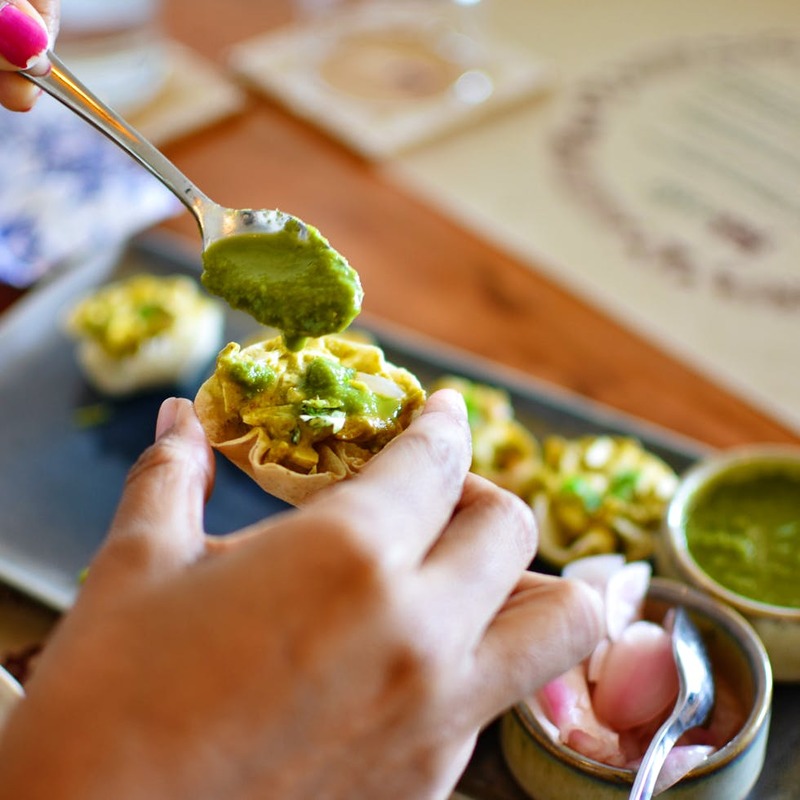 Sage Farm Cafe is tucked inside a villa in Jubilee Hills, and it's the next door neighbour to Sage Organics, which a farm to fresh produce and organic store. Go here to indulge in Jowar Oats Upma (who knew oats upma could be this delicious), dairy free vegan desserts like fig and date, chocolate, and coconut. On most of their mains, vegan options are available and you've got to try the Feta & Spice pizza. Located right on top of Almond House in Banjara Hills, Bon Appediet is usually one of our favourite places to eat when we are broke. They offer gluten-free, vegan, and keto delicacies, and we recommend you try Quinoa Breakfast Salad or Peanut Butter Toast. The Beetroot Hummus Sandwich and Veg Patty with Pepper Sauce are quite on point too.